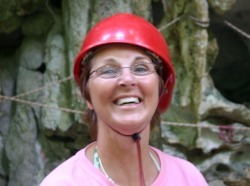 Belize Adventure Testimonials - "Our Belize Vacation"
Hi, my name is Christina Turley. I was seven (7) years old when I took this tour. I absolutely loved it. I wet my pants when I jumped off the first platform, from the thrill and excitement of it. I absolutely loved the entire experience and have asked my mother to take me again on this tour many times. You'll love this tour, I highly recommend it. Hi, my name is Debbie Wright. I absolutely loved this tour, and share my photos with friends many times. I am often asked to share my experiences of what it was like, zip lining in the Belizean jungle in Central America. It was one of the highlights of my trip. I would recommend this tour to anyone looking for something a little out of the ordinary, as to fun and excitement. What can I say, this was great. I love anything to do with animals and nature. Being out here, in the open air, spending time in the jungle was fantastic. I've made it a goal of mine, to try absolutely every tour offered through Black Orchid Management. Couldn't think of a better way to spend my summer vacation, zip lining in the Belizean jungle on summer break. I'd do it again in a heartbeat.